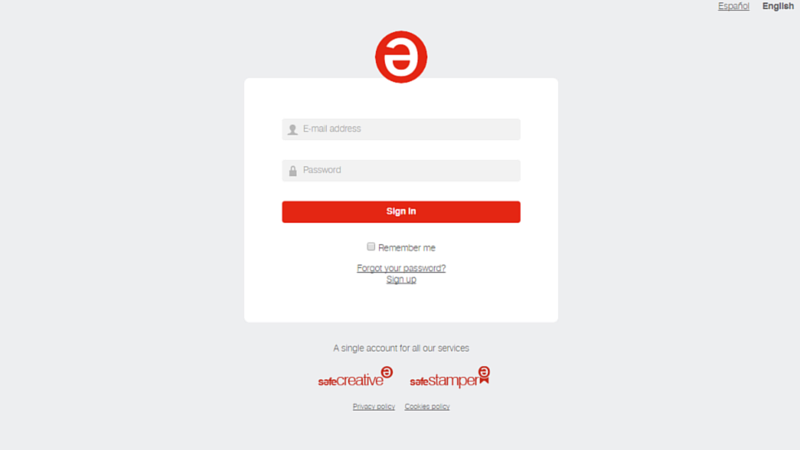 From now on, you will be able to access both Safe Creative and Safe Stamper from the same unique user account. We have decided to do this integration in order to make the management easier for you, by synchronizing user and storage information. If you signed up for both services using the same e-mail address, you will find your data has been automatically synched. 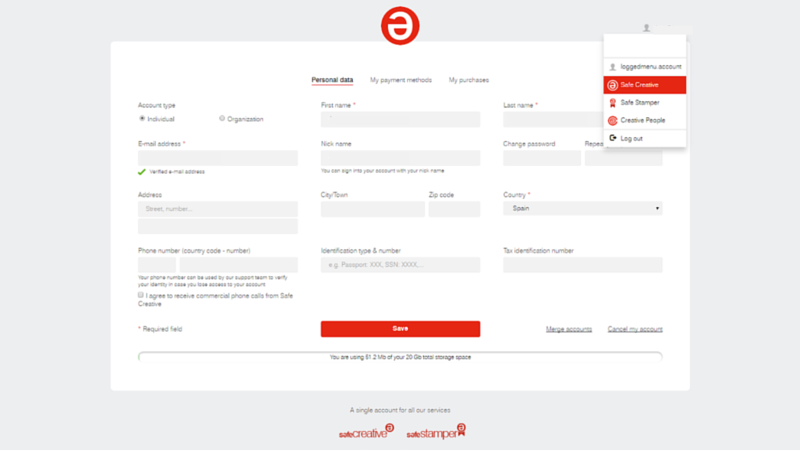 If you don’t know Safe Stamper yet, but you would like to find out more and start using it now, you will be asked to read and accept the terms and conditions first. Then, your user data will be synchronized with Safe Creative’s, so you don’t need to type it in again. That includes your personal data and payment method preferences. Safe Stamper hosts several services for generation of digital evidence, using the same technology developed by Safe Creative. You can use them to certify everything you see and listen to during an Internet navigation session, the public content of a website, or the sending of an e-mail. Timestamped and digitally signed. We have also included quicker shortcuts to switch from Safe Creative to Safe Stamper and Creative People. In case you used different email accounts for each page, that wouldn’t be a problem. You can keep both accounts if you wish. Or, by requesting it from your Safe Creative account, you can also fuse both accounts on your preferred email address. If you have any questions, please contact us through our support page. Let us know what you think of the change!